If you are planning an event, at any time of the year, a marquee gives you the flexibility to create exactly what you want for your venue – from size to style, location to decoration, a marquee presents you with endless possibilities. Although the marquee industry works all year round, the summer is still the most in-demand season for most companies. 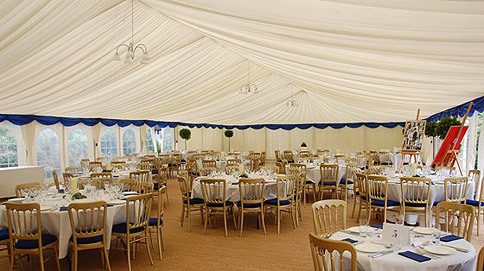 Marquee hire companies can be booked up many months in advance, so if you have a date in mind, the earlier you contact potential suppliers, the better and with so many people now using marquees as venues for weddings and other events, it is important to get in your enquiry as early as you can. 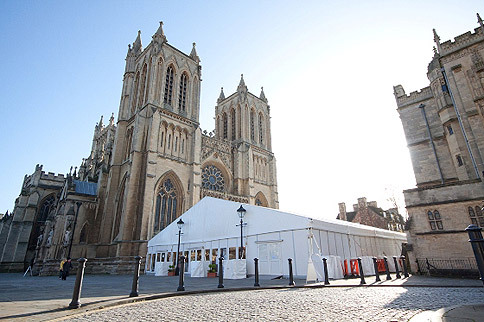 Marquees can vary massively in size – ranging from small canopies and budget party tents which are ideal for private gatherings, to giant structures that can accommodate thousands of people. They are an essential consideration for outdoor events of all kinds, due to the unpredictability of the British weather. Although now available in a huge range of styles and designs, frame and traditional pole marquees are the two most commonly used. If you are interested in hiring a marquee for your event then please click here to view our advice and info page. 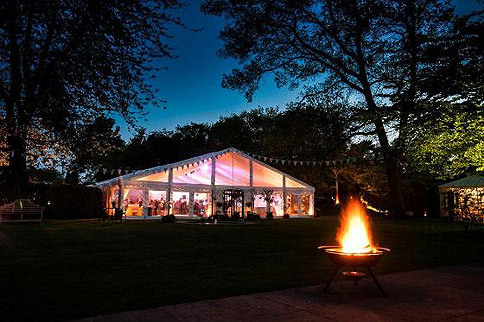 Here you’ll find detailed information about the sort of things you need to consider before picking a marquee, as well as the type of questions you should ask the supplier and a basic size guide which is great for planning. As well as helping you to create the atmosphere and ambience you want for your event, marquees, due to their modular design, can be made to whatever size you need for your guest numbers. Many hire companies also offer a range of furnishings, flooring, lighting and décor options to enhance your guests' experience - you can discuss this with them when you make contact. It is now commonplace for weddings and event to follow a specific theme, and by using the right props and furniture, the results can be spectacular. When considering hiring a marquee, you are limited just by your imagination and your budget. If you have an idea and are unsure of the next step, then you may want to contact a furniture hire, venue styling or specialist theming company to help with this. These professionals will be able to give you advice and make suggestions on what to include and how to make the most of your budget. Wonderful things can be done to the inside of a marquee to make it look beautiful. The use of lighting, flooring and interior linings can help to create an amazing atmosphere for your guests to enjoy. Or the combination of an LED lit dance floor, smoke machine, lasers and quality sound system could make the marquee's interior feel more like a nightclub. If you are looking to create a more relaxed atmosphere, then you could use more appropriate mood lighting with a starlight lining to create the illusion of looking up into a clear night sky, whilst being protected from the elements outside. Interior linings are often used to match colour schemes and create an intimate atmosphere. This can be fantastic if you are planning a wedding with a running colour scheme which also matches the flowers and bridesmaid dresses.